CCI invites comments from public in respect of proposed combination between Dow Chemical Company (Dow) and E. I. du Pont de Nemours and Company (DuPont) as CCI is prima facie of the opinion that the proposed combination between Dow and DuPont is likely to have an appreciable adverse effect on competition. Coimbatore: Textile mills have started to import cotton from West Africa and the US as the landed costs are on par with the prevailing market price in the country. The textile mills have contracted to import about 15 lakh bales (a bale is 170kg) of cotton as its prices are on the rise in the country, industry officials said. cotton from West Africa and the US as the landed costs are on par with the prevailing market price in the country. Cotton prices have jumped by Rs 6,000 per candy (a candy is 355kg) or 15.8% since November. Price of the popular Shankar-6 cotton had on an average increased by Rs 2,500 per candy in the past two months and is now trading at Rs 44,000 per candy. "There is a spurt in import contracts as domestic and imported cotton prices are more or less at same levels," said K Selvaraju, secretary general, Southern India Mills' Association (SIMA). "Textile mills had been entering into contracts to import cotton, mostly from West Africa, for the past couple of days," said Atul P Asher, secretary, Indian Cotton Federation (ICF). "Imported cotton appears to be attractive due to better yarn realisation, productivity and quality," said M Senthilkumar, chairman, SIMA. The Cotlook A index, the global benchmark for cotton prices, which by and large ruled at 79 cents per pound in October, is now quoting about 87 cents. While the Cotton Advisory Board (CAB), which comprises representatives from the textile industry, trade, ginners and government officials, has estimated that cotton imports would be 17 lakh bales in 2016-17 season (October-September), industry officials said it would be at least double that projection. "It might touch 30 lakh bales at the end of the season, if the present trend of import continues," officials said. Incidentally, mills had imported cotton from West Africa last year too after the sharp increase in prices in the domestic market. SIMA has asked spinning mills not to panic as cotton availability, both in domestic and global markets, is comfortable. Cotton production in India for the 2016-17 season is pegged at around 345 lakh bales as against 351 lakh bales estimated by the CAB last October. The cotton arrival as on March 20 was around 250 lakh bales, compared to 260 lakh bales during the same period last year. Textile mills in the country consume around 25 lakh bales of cotton per month. Mills in the south alone use about 10 lakh bales a month. Mill consumption might be around 295 lakh bales as against 303 lakh bales estimated by CAB," Senthilkumar said. Exports are also likely to be lower than CAB estimates as desi cotton prices are not currently attractive in the international market, he said. 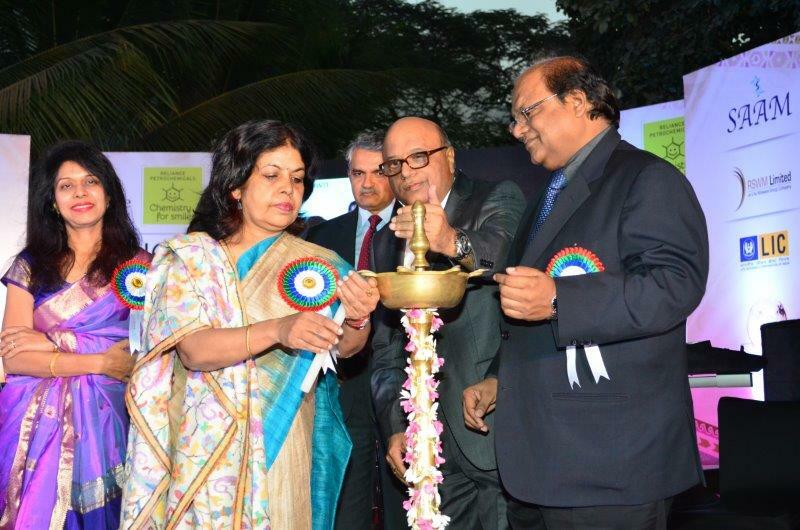 Exports would be only around 40 lakh bales, compared to 50 lakh bales estimated by CAB, the SIMA chairman said. A bumper cotton crop in Australia and the US would also help in keeping prices under check, he said. "There is a significant increase in cotton crop size in Australia, expected to be around 45 lakh bales as against 28 lakh bales last year, and 18% increase in crop in the US. Since China has restricted its imports, global cotton position is very comfortable," Senthilkumar said. The Central Board of Direct Taxes (CBDT) has allowed Permanent Account Number (PAN) application through SPICe, a common application form for newly set-up companies. The Simplified Proforma for Incorporating Company Electronically (SPICe) -- form No INC32 -- was notified by the Corporate Affairs Ministry in January 2017. Application for allotment of PAN will be filed in SPICe (INC32) form using digital signature of the applicant and after generating corporate identity number, CBDT has said. The Corporate Affairs Ministry will forward the data in form 49A to the prescribed income-tax authority, according to CBDT. Officials, psychologist and police participating in counselling to build confidence among weavers. Telangana Cultural Council members educating weavers through song in Sircilla town on Monday. Rajanna-Siricilla:With a view to develop self-confidence among the weaving community, both Mind Care and Counseling Center (MCCC) and district Information and Public Relations department are jointly organising counselling programs across Sircilla town. After a long time, cultural troops were also involved to educate the community people in the wake of enhance of suicidal tendencies among the weaving community. While an awareness camp was held in Sundaraiahnagar on Monday, another program was organised at Padmanagar on Wednesday. Besides folk singers, psychologist and police personal are also participating to build confidence among the debt trapped weavers. Though it is not new to counsel weavers, the present programs gained significance in the wake of the suicidal death of two weavers in recent past. Two weavers Merugu Umamahesh, B Y nagar, and Chiluka Satyanarayana of Venkaipet have committed suicide due to financial problems. Duo, who had run maggalu (weaving machines), trapped in debts due to slump in the sale of cotton cloths in the open market. Speaking to the Telangana Today, psychologist, MCCC, K Punnamchander informed that three years ago, they were involved cultural troops to educate the community people. Today, they again deployed Telangana Cultural Council teams since the later would show effective influence on the people. Depression was the main reason that forced the community people towards suicide. There were several reasons weavers are getting into depression, which also includes lack of sleep, addiction to liquor, tobacco consumption, hypertension, work pressure, horrible working conditions and others. If a person went into depression, he could not work properly subsequently he barrows money to run the family. He automatically enters into debts and addict for liquor consumption to overcome problems. Over a period of time, he gets health problems, observed Mind Care and Counseling Centre. Earlier, every day, there was at least a suicide of weaver. The counselling centre has managed to prevent about 8,000 people from committing suicide through counselling during the last 13 years and 5,000 weavers were freed from liquor addiction. They would identify the people with suicidal tendency, alcohol addiction and counsel them regularly in the clinic being operated in district headquarters. Besides individual counselling, group counselling would also be given to weavers by organising meeting in their localities and through door-to-door campaign. Community facilitator, Markandeyulu opined that weavers were facing financial troubles as there was no demand for cotton cloth in the market. However, the price of Yarn was skyrocketing. Two owners have died due to financial problems. The GST Council is besieged with demands from various quarters for commodity-specific exemptions or concessional tax rates on many products. Of particular note is the one for biris (beedis). This is a bad idea, from the viewpoint of both revenue and public health. Tailored exemptions break the GST chain, raise the chances of evasion and generate systemic inefficiencies, beating the purpose of GST. On tobacco products, the plan is to levy the highest tariff of 28% plus a sin tax component of 15% that will not be eligible for input tax credit. This makes sense as it will keep the GST chain unbroken, while dissuading harmful consumption. Cigarettes account for around 11% of tobacco consumption but contribute 87% of taxes from tobacco. Heavy taxation of cigarettes has brought down cigarette use, but the use of tobacco in general has gone up, raising the healthcare burden. The National Health Policy 2017 seeks to increase the country’s public spending on health from 1.15% of GDP at present to 2.5% of GDP by 2025, with taxes on tobacco being specifically targeted as a potential source of finance. The sensible thing to do is to tax all tobacco, at the stage of its first sale, on a reverse-charge basis, not to exempt the bulk of it in the name of the poor. Bidis and chewing tobacco are, if anything, more harmful than cigarettes, and making this source of harm cheap by concessional tax treatment makes little sense. High taxes on cigarettes have an indirect victim as well: tobacco farmers, the demand for whose produce is hit by largescale smuggling of cigarettes into India induced by high taxes on cigarettes. GST excludes real estate, electricity, alcohol and petroleum products in the near term. So, the case to minimise exemptions and concessions is strong. Make in India may feel the pinch of a global wave of protectionism. Launched in September 2014, the initiative aims to encourage multinational as well as local companies to manufacture in India. However, a growing number of countries has since adopted a similar approach. “Saudi Arabia is insisting on ‘In Kingdom’ total value-addition requirements. Oman had a 30 per cent domestic value-add requirement for a petrochemicals project,” said M S Unnikrishnan, managing director and chief executive officer (CEO), Thermax, an engineering, procurement and construction company. West Asia is an important market for Indian capital goods manufacturers. In 2015-16, 34 per cent of Thermax’s total sales was from exports. Capital goods is not the only sector witnessing protectionism. Pharmaceuticals exports, which figure in India’s top 10 exports, are also facing the heat. “Drug quality is a major concern as you do not get access to those markets then. 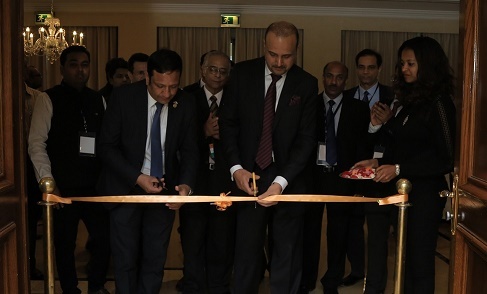 Russia is taking steps to encourage setting up local facilities,” said Sujay Shetty, partner and leader, pharmaceuticals and life sciences, at PwC India. In 2015-16, exports of drugs, pharmaceuticals and fine chemicals from India were ~1.06 lakh crore and India exports nearly half of its production. “Drug companies are trying to figure out how to respond to this global wave of protectionism. The strategy to tackle it will be individual and geography specific ,” Shetty added. International brokerage firm Jefferies in a March 1 report reviewing China’s 13th Five-Year Plan concluded it contained more threats than opportunities, making the plan the most negative so far for foreign capital goods companies. “In April-September 2016, India’s engineering exports to China dropped by a sharp 45 per cent to $584.10 million from $1.06 billion in the first half of the previous financial year,” said an EEPC India report released in September. However, Madan Sabnavis, economist with CARE Ratings, is optimistic the impact will be limited to the services sector. “For manufacturing, this should not be a major issue, except adjusting to new laws. In services, this will be a challenge,” he said. Textiles, another of India’s significant exports, have not seen any major signs of distress over protectionism. “In Turkey the focus is higher on domestic manufacturing. But Turkey is a small market for India; Europe and the US are the large markets. I expect the Trump Administration to focus on increasing domestic activity in more value-added sectors like manufacturing and he (US President Donald Trump) will not disturb the textiles-related trade,” said Manish Mandhana, joint managing director, Mandhana Industries. In 201516, close to 16 per cent of the company’s revenue was from exports. Officials from the Federation of Indian Export Organisations (FIEO) believe the demand and supply will finally decide the overall dynamics. “Protectionism is easier said than done. 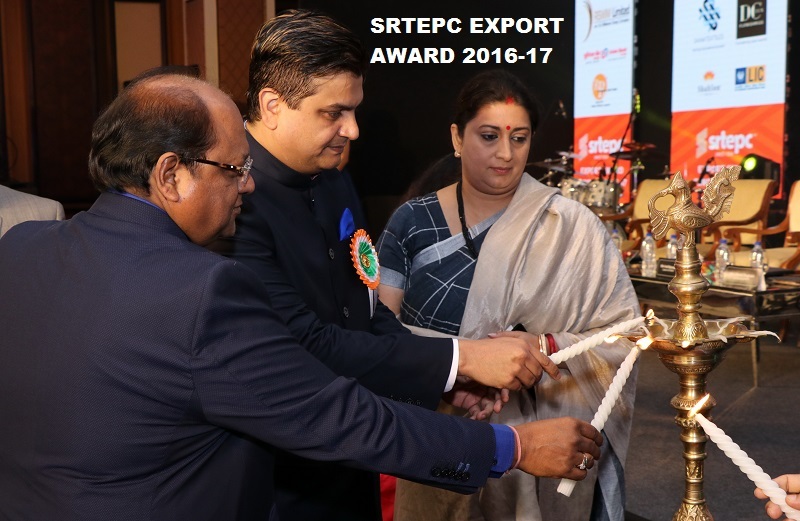 Countries will have to match up to the cost competitiveness that certain Indian exports offer,” said S C Ralhan, president, FIEO. “Since many of the countries we operate in are not so developed, we prefer to work with the local people, thereby creating employability and contributing towards the economic development of these regions. We have not seen any significant change so far. In any case, it makes economic sense to hire local talent and work with local subcontractors,” said Vimal Kejriwal, managing director and CEO, KEC International. There is consensus among officials and experts that the coping mechanism will be different, depending on market share in the respective geography and company strategies. “If there are restrictions in foreign investment in, say, the US, there will be problems. If our outflow of FDI (foreign direct investment) into the UK by a steel company faces restrictions, then it will be affected. But I do not see this happening. Brexit will affect the prospects of such companies, commercially, and hence, may force them to focus more on India,” said Sabnavis. The government is looking beyond the criterion of capital employed to better define MSME sector for growth, according to KK Jalan, MSME Secretary, Government of India. The conventional definition of micro, small and medium enterprises is based on different slabs of investments ranging from Rs. 10 lakh to over Rs. 5 crore. However, with MSMEs constituting the backbone of employment generation, the government plans to include parameters such as employment generation and turnover in defining the sector. The role of MSMEs in employment generation is being increasingly recognised. 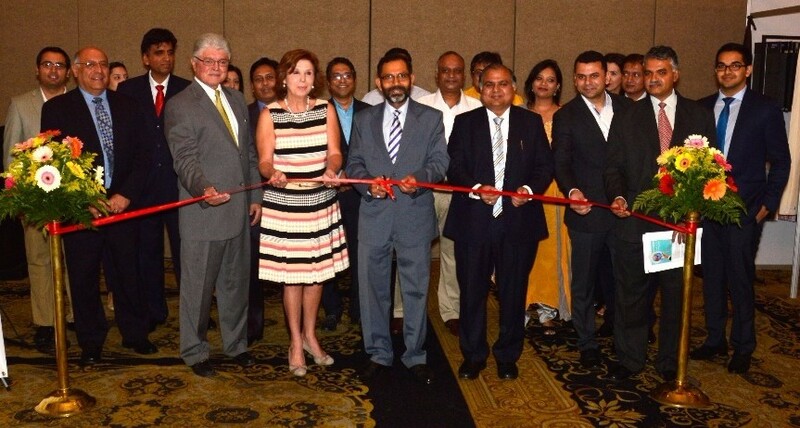 It is second only to agriculture in generating jobs, he said at a seminar on the role of MSMEs in enhancing Indo-US trade organised by the Indo American Chamber of Commerce and the FIEO. In the WTO, for instance, developed countries are keen on bringing in a MSE forum in the context of the potential of the sector for job generation. While this is a welcome step, India is concerned on the possibility of labour issues becoming a non tariff barrier to markets, he said. “India in not in favour of a MSE forum in the WTO because of concerns over labour issues,” Jalan said. The major challenges facing the sector are credit flow, technology development, skilled human resource, regulatory compliance and affirmative action. The US can help Indian MSMEs in all these issues. India can be a cost effective base for US MSME production emulating the automobile sector. 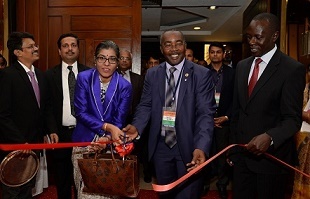 An Indo-US forum for MSMEs would benefit mutual cooperation, he felt. India’s public procurement order reserving 20 per cent for MSME sector is a part of affirmative action. The US has a well established system and “we are adopting some of those practices,” he said. With the shift to GST around the corner, compliance cost is a major concern of the MSMEs as it does not distinguish between large and small companies. The authorities have recognised the issue and are addressing it. Confident of rolling out the Goods and Services Tax from July 1, Finance Minister Arun Jaitley on Wednesday said that the new tax regime is likely to lower the cost of commodities and also make tax evasion difficult. Addressing the 23rd Conference of Auditors General of Commonwealth Nations and British Overseas Territories, he said the new indirect tax levy will also transform the complex indirect tax system to a simple system. “GST will increase the volume of taxation, there is no tax on tax and therefore makes goods, commodities and services little cheaper and far more convenient,” Jaitley said, adding it will also act as a great check on tax evasion. “The laws which enable GST are now before Parliament which hopefully should get cleared and once they do get cleared then by the middle of this year we hope to see the implementation as far as this law is concerned,” Jaitley said. His comments come soon after the Union Cabinet cleared four enabling legislations for GST on Monday. The Bills for Centre, Integrated and Union Territory GST along with the legislation for compensation are likely to be tabled in Parliament soon. He also praised the decision to demonetise high value currency in November last year and said it will “act as disincentive to continue with shadow economy, will integrate informal with formal economy.” Noting that the cash component of the economy was extremely high at about 12.2 per cent of the GDP, Jaitley said that India has been a largely non-tax compliant society. “The tendency to deal excessively in cash did exist and this created its own challenges for the economy,” he said, adding that it also led to crime, corruption, incentivised tax non-compliance and was facilitator for funding terrorism and insurgency. To further clamp down on cash transactions, the government in the amendments to the Finance Bill has also proposed to lower the cap for cash payments to Rs. 2 lakh. “Demonetisation has also increased the trend towards digitisation of economy, it will act as disincentive to continuing to deal in a shadow or parallel economy and lead to a further integration of informal with formal economy,” Jaitley said, adding that India’s GDP in the near future will be bigger, size of formal economy will increase and will be cleaner. The Minister also expressed hope that India would continue to remain amongst the fastest growing economies of the world. Manufacturers of every size need to take a dip in digital waters to help India emerge as a top manufacturing destination. The future is promising as Indian manufacturing looks to hit the $1 trillion mark in the next decade, generating 90 million domestic jobs. The Make-in-India programme, announced in 2014, plans to make India a manufacturing hotspot that is equally attractive for domestic and foreign players. But the road to that future is paved with some major challenges, and key among them is the need for Indian manufacturers to be digital-ready. To maintain competitive operating costs, the industry must look towards a smart factory setup that brings in efficiency into every step of production. Traditional automation which uses automatic monitoring and control of machinery, still heavily relies on manual interventions for decision making. A human operator must issue final commands for machines to act, creating room for error and slowing down overall production output. In contrast, smart factories take a holistic approach, automating the entire value-chain, which includes logistics, manufacturing distribution, retail and even after sales. Machines are capable of artificial intelligence and evolve according to needs, gradually limiting the human role to monitoring, complex or strategic decision-making and exigent situations. The Internet-of-Things (IoT) framework has opened a host of opportunities by bringing together the physical and virtual world. On the shop floor, intelligent computerised numerical control (CNC) machines share data among themselves, creating a free flow of real-time data to help manufacturers understand the nuances of their infrastructure, inventory, and workflow status. Analytics can help businesses determine whom to connect with on what topics, understand consumer behaviour, build better products through customisation, etc. More importantly, it can open up new avenues of revenue for manufacturers. For instance, tracking equipment malfunction and failure rates can lead manufacturers to drive revenue through timely reminders for parts replacement and other consulting services for optimum machine performance. Coming to the smart shop floor, the machines can self-diagnose performance and transmit “live” data to cloud-based data centres. Carefully examining such data will help companies roster preventive maintenance, resulting in significantly less downtimes and production outages. Complex algorithms can be put to work on machine data to cull a deep understanding of production. This also means that manufacturers need to carry spare parts inventory only on an as-needed basis. Smart factories have the potential to transform Indian manufacturing into a highly efficient and advanced industry. However, there are certain challenges that need to be addressed on priority. Apart from conducive policy framework and robust network infrastructure, manufacturers, small or large, need to work closely in spearheading digital adoption on a massive scale. It is critical to educate manufacturers about the benefits of digitalisation, and business risks of remaining aloof or ignorant to a fast evolving global digital landscape with potential to disrupt business models across industries. This will encourage more manufacturers to take a dip in digital waters and help India emerge as a top manufacturing destination. v. Amendment or repeal of the provisions relating to Acts under which cesses are levied. ii. Amendments or repeal of various provisions of other Acts which will no longer be relevant consequent upon roll out of GST will result in cleansing of the irrelevant portions from the Statute Book and reduce multiplicity of taxes. In addition to Seven Central Government Special Economic Zones (SEZs) and 11 State/Private Sector SEZs set-up prior to the enactment of the SEZs Act, 2005, approvals have been accorded in respect of 416 proposals for setting up of SEZs in the country. Land is a State subject. Central Government does not carry out any land acquisition process. In all cases of notified SEZs, the land has been either purchased directly by the developer from the landholders or the land is acquired by the State Government through its agencies and leased to the developer as per the policy and procedures of the respective State Governments. SEZ approvals are given on the recommendation of the respective State Governments. Department of Financial Services, Ministry of Finance has issued an advisory to Banks which states that it has been noted that in many cases working capital limit for MSMEs are being capped at 20% of estimated turnover whereas the recommendations of the Committee on the guidelines of RBI were to treat 20% as the minimum. As MSMEs make the transition from a cash based mode of transactions to a cashless or digital mode, it is essential that their WC limits are appropriately increased to facilitate the process. 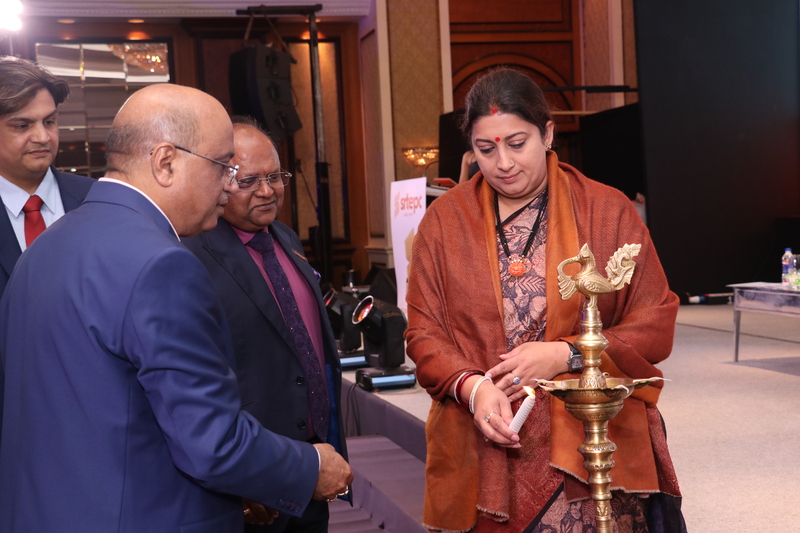 Further, to provide an impetus to the level of business activities of MSMEs and further enabling the move from cash to cashless digital transactions by MSMEs, it would be appropriate to factor in cash deposits made by MSMEs in the recent period for determining working capital limits. Under the scheme of presumptive income tax for small and medium tax payers whose turnover is up to Rs. 2 crore, at present 8% of their turnover is counted as presumptive income. In the Union Budget 2017-18, it has been proposed to make this 6% in respect of turnover which is received by non-cash means. Further, to promote cashless transactions, it is proposed in the Union Budget 2017-18 to exempt BCD, Excise/CV duty and SAD on miniaturised POS card reader for m-POS, micro ATM standards version 1.5.1, Fingerprint Readers/Scanners and Iris Scanners. The Government is procuring five numbers Full Body Truck Scanners (FBTS) for five locations including Integrated Check Post at Attari, Amristar in accordance with the laid down procedure. The other four locations are Petrapole (Indo-Bangladesh Border), Raxaul (Indo-Nepal Border), Poonch-Chakkanda-bagh (Indo-Pak Border) and Uri-Salamabad (Indo-Pak Border). The Government has issued a Global Tender Enquiry for procurement of five numbers of FBTS. It is also obtaining various clearances from the respective State Governments and other nodal agencies. The other details cannot be revealed in view of the national security and commercial confidence. CCI invites comments from public in respect of proposed combination between Dow Chemical Company (Dow) and E. I. du Pont de Nemours and Company(DuPont) as CCI is prima facie of the opinion that the proposed combination between Dow and DuPont is likely to have an appreciable adverse effect on competition. The Competition Commission of India (CCI) is of the prima facie opinion that the proposed combination between Dow Chemical Company (Dow) and E. I. du Pont de Nemours and Company(DuPont) is likely to have an appreciable adverse effect on competition and, accordingly, has directed Parties, in terms of Section 29(2) of the Competition Act, 2002, to publish details of the combination for bringing the combination to the knowledge or information of the public and persons affected or likely to be affected by such combination. Parties have already published the details of the propopsed combination in all India editions of four newspapers viz., Hindu Business Line, Indian Express, Financial Express, and Pioneer on 18th March, 2017 and also hostedthe same on their websites. The said details are also available on the website of the Commission (www.cci.gov.in). Earlier, on 19th May, 2016, the Competition Commission of India (CCI) had received a notice jointly filed by Dow Chemical Company (Dow) and E. I. du Pont de Nemours and Company(DuPont) for a proposed combination between DuPont and Dow. As per the provisions of Section 29(3) of the Act, the Commission invites comments/objections/ suggestions in writing, from any person(s) adversely affected or likely to be affected by the propoposed combination. The same may be addressed to the Secretary, Competition Commission of India, Hindustan Times House, 7th Floor, 18-20, Kasturba Gandhi Marg, New Delhi – 110001 or through email: secy@cci.gov.in, within fifteen working days from the date of publication of details of the proposed combination. DuPont is inter alia, engaged in agriculture (including seeds) industrial bio-sciences, nutrient and health, performance chemicals and materials, safety and production. Dow is active in chemical, plastic, agriculture products and services to consumer markets that include food transportation, health and medicine, personal care etc. For a variety of reasons, the blending of fibres, in particular manmade fibres, in textile products is set to increase. Edda Walraf assesses this development, and explains how spinning mills can blend different fibres most effectively. Fibre consumption is rising and filaments in particular are finding use in an increasing number of applications. For the short staple spinning mill, the trend is also towards manmade fibres, but especially to blends with various fibre materials. Thus the functionality of the end product can be specifically influenced. Experts agree that with growing prosperity fibre consumption per head will continue to increase. Forecasts assume that by 2030 worldwide fibre consumption will rise to around 115 million tons (PCI, 2015). All raw materials will contribute to this growth, but filaments more so than staple fibres. The share of filaments will increase from 39% in 2010 to 49% in 2030. New applications, particularly in the finer yarn count range, will contribute to this. Filaments have good functional properties for textile as well as technical applications. This development is also being driven by the growing share of knitted fabric applications with increasingly finer gauges. Notably with fine yarn counts, filaments are particularly economic. Despite this development, the consumption of short staple fibres will rise to around 58 million tons. In the short staple spinning mill, the share of cotton will decrease from 54% in 2010 to 48% in 2030. The absolute consumption of cotton will grow slightly from 25 million tons in 2010 to 28 million tons in 2030. Around half the fibres will be processed in their pure form. The other half will be spun into blended yarns. Blends from cotton with polyester dominate the blended yarns with almost 50%. The blending of fibres is made for two important reasons. One is that polyester is a cost-effective fibre and the raw material price is an important parameter for yarn costs as a whole. The other is that the yarn’s characteristics can be specifically influenced by blends. These two reasons – costs and function – as well as the limited growth potential of cotton mean that the share of blends will continue to increase. Looking at the use of yarns, cotton dominates the underwear sector. Viscose is also used as a 100% raw material in all applications. With technical textiles, 100% polyester and its blends dominate. With outerwear, polyester dominates, especially in blends with cotton and viscose, as is similarly the case with home textiles. With the increasing use of manmade fibres, new questions arise for the short staple spinning mill. The Rieter Manual of Spinning, Volume 7 deals comprehensively with technological questions. To manufacture a yarn from different fibre types, the spinning mill has to fulfil two requirements: produce the right blend ratio and mix the two fibre types well. A good and even blend is important for a uniform distribution of the fibres in the yarn diameter and on the running length of the thread, so that at every point in the yarn the blended fibre types appear in the same ratio. The fibre will therefore have the same characteristics, such as strength and dyeing capacity, at every point. 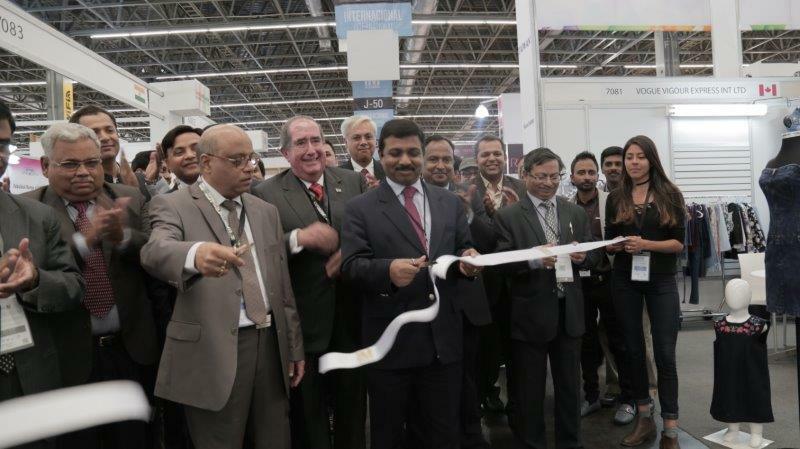 Georg Stausberg, CEO of the Oerlikon Manmade Fibers segment, has inaugurated the company’s new service station in Vadodara, India. The location is part of the Global Service Network, providing 24/7 hotline support to customers worldwide. The service station is situated on a plot area of more than 8,000m², of which around 3,000m² have already been utilised for the current built-up unit, which contains a comprehensive mechanical and electronics workshop. Moreover, the enhanced facilities include a well-equipped training centre, more storage space for customers and panel assembly operations, the company reports. In his welcome speech at the inauguration event, Georg Stausberg pointed out the future-oriented approach that was taken while building the service station. Accoridng to Mr Stausberg, “the generously-proportioned service station is superlatively equipped for the challenges of the growing Indian market and customers’ requirements in terms of high-tech, top-quality services.” He further mentioned the importance of the Indian market for the Oerlikon Manmade Fiber segment with its capacity of nearly 4 million tonnes of textile filament: “We are looking back at an almost 60-year history of close cooperation with Indian partners, which started in 1959 with the first delivery of Barmag take up equipment to an Indian customer.” Bhanu Patel, Managing Director of Oerlikon Textile India, stressed in his speech the continued commitment to being the preferred technology partner of the Indian manmade fibre industry. OerlikonManmade Fibers segment Oerlikon is a leading technology group supplying growth markets with market-leading technologies and services for surface solutions, systems for manufacturing manmade fibres, transmission systems and drive solutions, as well as prevacuum and high vacuum technologies and pumps and the corresponding accessories. With its Oerlikon Barmag and Oerlikon Neumag brands, Oerlikon Manmade Fibers segment is the market leader for manmade fibre filament spinning systems, texturing machines, BCF systems, staple fibre systems and artificial turf systems and – as a service provider – offers engineering solutions for the entire textile value added chain. 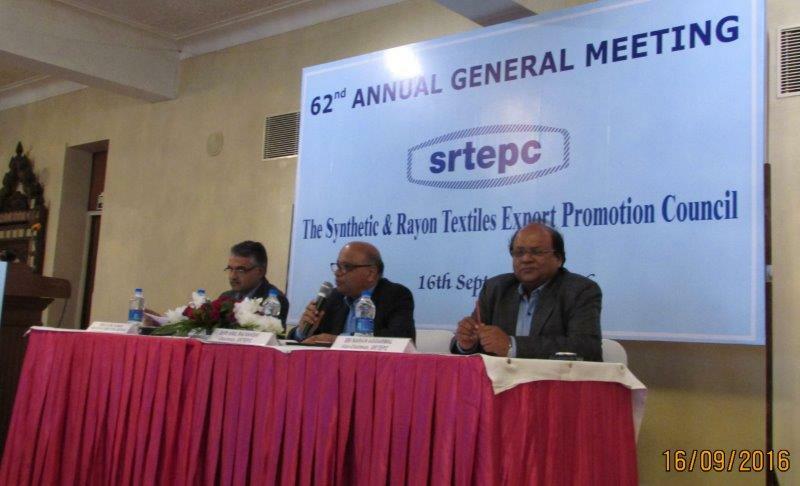 With the expansion of the product range to include polycondensation systems and their key components, the company now caters to the entire process – from the monomer all the way through to the textured yarn. The primary Oerlikon Barmag markets are in Asia, and – for Oerlikon Neumag – in the USA, Turkey and China. COIMBATORE : The Southern India Mills Association (SIMA) has advised the mills against panic buying of cotton.“Drop in crop production by 8-9 lakh bales compared to the Cotton Advisory Board’s estimate of 351 lakh bales for the 2016-17 season, or lower arrivals as on March 20 compared to the corresponding period of the earlier season, does not necessarily mean there is a supply shortfall. Both at the global level and in India, the cotton supply position is very comfortable,” said SIMA Chairman M Senthilkumar. Asserting that there is no big difference between domestic and imported prices of the fibre, he conceded that imported cotton gained preference due to better yarn realisation, productivity and quality. From ₹38,000-39,000 a candy (of 355 kg) at the beginning of the cotton season (for the benchmarked Sankar-6 variety), the rates have now swelled to ₹43,500-44,000. Prices moved north till end-February, and now appear firm. But imported fibre definitely seems better while the price difference is not much, said cotton spinners. And import contracts seem to be gaining momentum. Reports indicate that there has been a significant increase in the Australian cotton crop — from 28 lakh bales last year to 45 lakh bales this year and an 18 per cent increase in the US cotton crop. “With China's restrictions on imports, the global cotton position is more than comfortable,” observed SIMA’s Senthilkumar. According to him, India has contracted for 15 lakh bales of cotton import from West Africa and the US. “Prices might ease when Australian cotton arrives in the market around May,” he said and advised the spinning mills to refrain from speculation. On priority, apparel sector have been picked by the Smart City Company. The primary study and research over the possibilities and available resources have been initiated on a war-footing. Teams of higher officials of Jabalpur Municipal Corporation (JMC), Smart City Company along with experts from trade and industry have visited different clusters of readymade garment manufacturing clusters in the country. Topographical location of Jabalpur makes this city best for investment. Simultaneously, availability of resources and human resource makes it industry-friendly destination in different analysis and survey reports covering potential, strengths and its weakness. After 2012’s ASSOCHAM review, recently for Smart City Project, the Municipal Corporation has released SWOT Analysis. In Smart City Project, four primary sectors for the industry, investment and employment generation have been involved. Catching up with the ongoing projects of the Union and State Government, including Readymade Garment Fashion Cluster in city and IT Park projects, the Smart City employment possibilities are being cross checked by authorities. 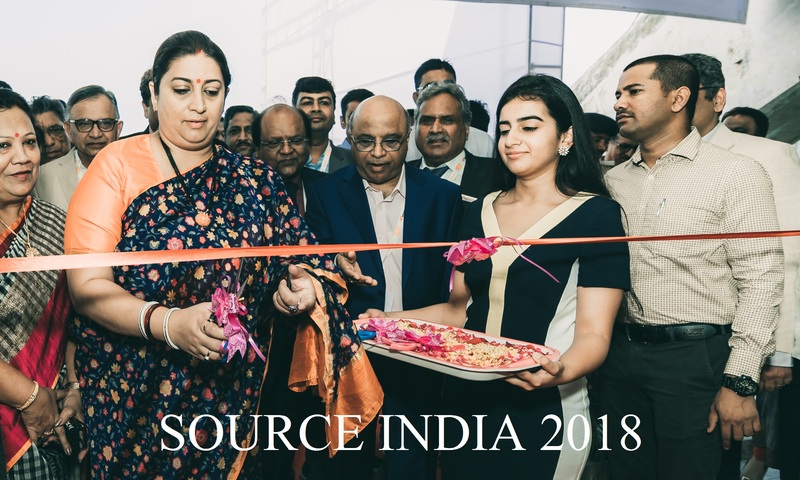 For the Apparel Village, primary survey pertaining to availability of resources, technology for current status enhancement and facilities has been initiated. Ongoing planning of employment resources generation would also be an opportunity for many start-ups. Linking with ‘Make In India’ programme, there are strong possibilities for growth. Earlier, in Textile sector, Jabalpur has a huge commercial and industrial base over the decades. 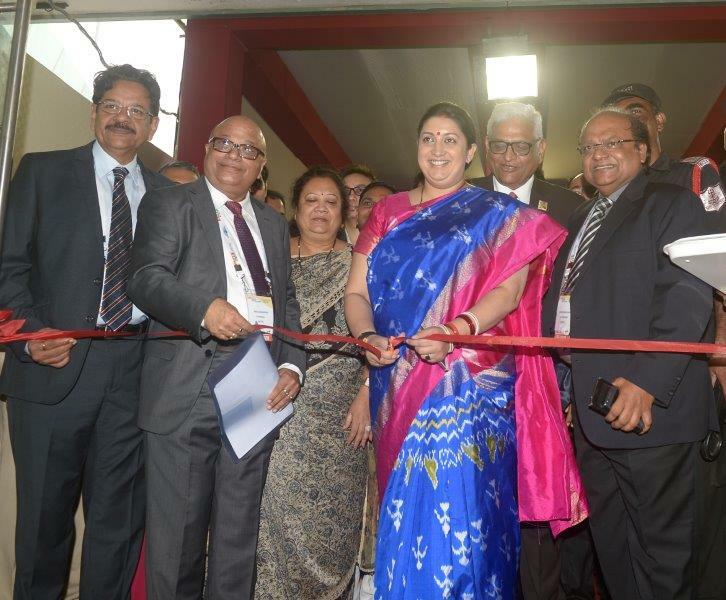 It is famous for its handloom clothes and sarees at national level. Now, after this, the skilled labour in handloom and powerloom sector are now into readymade garment manufacturing, tailoring and embroidery work. 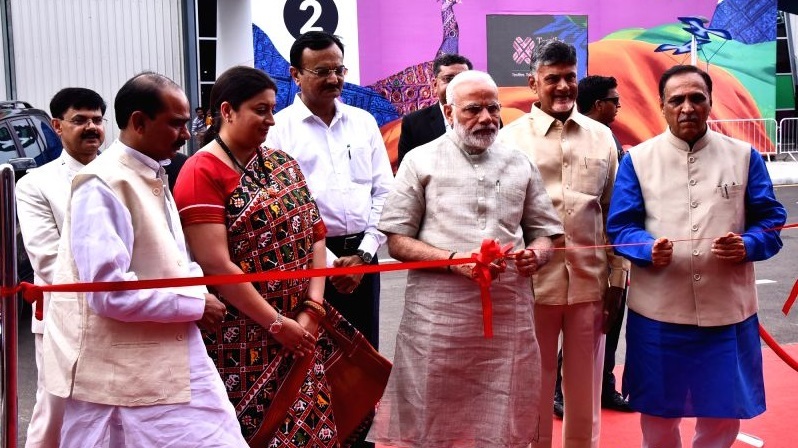 To achieve the target of developing direct and indirect employment in Textile sector, the Textile Village Project in Jabalpur, under Smart City employment generation initiatives, is on cards. Giving special thrust on utilising prevailing strength for employment generation, the work is being carried out simultaneously on two other priority sectors, including Information Technology and Tourism sectors. “Expert consultants are being contacted on formation of schemes, project development, to keep strong linkage with policies and programmes of State and Union Government. The plans, schemes for business development are being planned on win-win basis for investors, industry and employment,” said Ved Prakash, Municipal Commissioner, sharing his views on development of Textile Village. The prices given above are as quoted from Global Textiles.com. SRTEPC is not responsible for the correctness of the same. LAHORE - Trade and industrial associations and chambers across the country have given the Federal Board of Revenue (FBR) April 10 deadline for acceptance of their demands. Till then, chambers will hoist black flags on their premises and office-bearers and executive committees will wear black bands in protest. The representatives of chambers of commerce and industry and trade and industrial associations at a convention on “FBR’s Discretionary Powers” at the Lahore Chamber of Commerce and Industry said that despite repeated appeals, discretionary powers of FBR officials had not been withdrawn. They said this was the biggest hurdle in the way of broadening of the tax net. The representatives of Lahore, Chakwal, Faisalabad, Gujranwala, Gujrat, Jhelum, Karachi, Khanewal, Mohmand Agency, Peshawar, Quetta, Rahim Yar Khan, Rawalpindi, Sahiwal, Sargodha, Sheikhupura, Shikarpur, Sialkot, Vehari, Hazara, Faisalabad, Mardan, Lahore Women Chambers of Commerce and Industry, Air Cargo Agents, All Pakistan Cotton Power Looms, All Pakistan Dry Fruit Importers and Exporters, All Pakistan Textile Mills, All Pakistan Textile Processing Mills, Fleet Operators Association, Pakistan Cotton Ginners, Pakistan Electric Fan, Pakistan Ethanol Manufacturers, Pakistan Kiryana Merchants, Pakistan Steel Linepiple Industry, Pakistan Steel Melters, Pakistan Tanners, Pakistan Vanaspati, Pakistan Yarn Merchants, Rice Exporters, Travel Agents, Pakistan Footwear Manufacturers and Builders and Developers Associations attended the convention. On the occasion, participants of the convention issued a joint declaration, saying that “oppression of FBR staff has become unbearable. Businessmen are working in difficult conditions, but instead of giving due honour, FBR staff is twisting their arm and blackmailing them, therefore discretionary powers should be withdrawn immediately.” The convention urged the government to withdraw the draconian provisions and laws giving immense discretionary powers acquired through last four Finance Bills, to officers of the Inland Revenue and field formations. This is the core issue and is resulting in hardship, loss of productivity and mental torture to the business community. These laws have kept a large number of potential taxpayers out of the tax regime. In fact, these laws are a deterrent to broadening of tax base and are promoting the culture of tax evasion. They urged the government to implement their recommendations. LCCI President Abdul Basit said that during last three years tax collection had increased by 60 percent whereas the number of persons who filed tax returns had decreased by 200,000. It simply shows that the FBR could not succeed in broadening the tax net and it was squeezing the existing taxpayers. Revenue collection through indirect taxes is 62 percent of total tax collection, which cannot be encouraged. Pakistan lacks culture of tax compliance due to unfair taxation system. Harmful taxation that hinders business and trade in the country should be eliminated. “We firmly believe that broad based reforms in taxation system in consultation with the private sector are need of the hour,” they said. As the demand for readymade garments increases rapidly across the global market, Bangladesh’s position as the world’s second largest readymade garment exporter continues to hold strong. The Bangladesh government just set a $37 billion export target for the 2016-17 fiscal year, of which over $30 billion will be contributed by the ready-made garment sector – the country’s largest source for export earnings. According to the data from Bangladesh’s Export Promotion Bureau, the garment and apparel industry in Bangladesh generated $28.09 billion exports in the fiscal year 2015-16 with a 10.21% growth from the previous year. The growth was mainly attributed to political calmness during the year, increased productivity, entrepreneurs’ resilience and improvement of workers’ safety standards in factories. The readymade garment (RMG) industry in Bangladesh is the largest and most renowned manufacturing sector and GDP contributor. Bangladesh exports around $30 billion readymade garments every year. The advantages of Bangladesh’s readymade garment industry, including low labour cost, favourable business climate, and well established transportation facility, are pushing the industry to develop at a significant rate. Today, readymade garments exported from Bangladesh represent around 6% of the global clothing market. Bangladesh surpassed India to become the world’s second largest exporter in 2003. An increasing number of famous international fashion brands, such as Zara, H&M, Gap and Levi’s are already manufacturing and importing clothes from Bangladesh. It is expected that Bangladesh will continue to strengthen its position as the leading readymade garment exporting country. Meanwhile, the textile and readymade garment industry in Bangladesh is also putting more effort into improving gender equality in the country and empowering women to work. The government of Bangladesh has consistently made it a point that women remain the focus area in most of their policy plans. At present, the textile industry employs around 4 million citizens, and is one industry where women are in high numbers – almost 90% of the workforce. 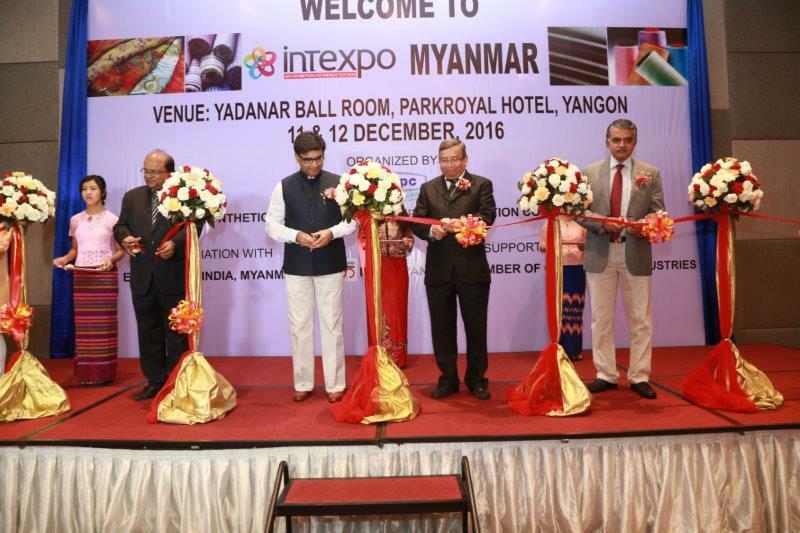 To continue increasing the country’s readymade garment exports in the global market, the Bangladesh Garment Manufacturers and Exporters Association (BGMEA) and the Bangladesh Knitwear Manufacturers and Exporters Association (BKMEA) are focusing on further boosting and promoting the country’s readymade garment sector by facilitating a healthier business environment, training more skilled workers, improving social compliance status and improving coordination among the manufacturers, exporters and importers, with the goal of increasing Bangladesh’s foreign exchange earnings. Now Bangladesh’s vision is to achieve $50 billion readymade garment exports by 2021. WHILE Government has moved in to revive the cotton industry through a three-year free input support programme, inadequate regulatory enforcement, particularly during the marketing season remains a threat to the sustainable recovery of the sector. The Presidential Input Support Programme, which began last season has seen the Government providing free inputs to farmers, largely small scale in a bid to revive the industry. Cotton has been a source of livelihood for 200 000 families, making it a strategic national priority. During the past two seasons, Government has spent in excess of $70 million on inputs. Analysts said the intervention by the Government was timely as it has helped to lure back many farmers who had abandoned the crop due to inadequate funding from merchants. However, the sustainable recovery of the industry remains under threat, largely due to side marketing resulting from inadequate regulatory enforcement to curb the practice. Based on the established crop, a national crop size of about 110 000 tonnes is expected this year. Analysts said since opening up the industry as a result of the International Monetary Fund dictated Economic Structural Adjustment Programme there had been a failure to control side marketing. This killed the investment case for cotton as regulatory control has been largely ineffective due to "regulatory capture." They are of the view that the Agricultural Marketing Authority, which is the regulatory body charged with enforcing cotton legislation in the form of Statutory Instrument 142 of 2009 has "totally" demonstrated a total reluctance to enforce effective deterrent measures or penalties, resulting in chaos in the marketing of the crop. The regulator is empowered to cause the arrest and prosecution of unscrupulous merchants for non-compliance and promoting side marketing, suspend licences for errant merchants and to cancel licences for continued breach of cotton marketing regulations. "We have not seen much of these things happening despite clear evidence of serious breaches (of regulations) by some players," Mr Nhamo Muchapondwa, an agricultural economist said. "What is disturbing is that the Government is laying a solid foundation for the recovery of the industry but this will not be sustainable if such breaches continue to happen. "What people need to understand is that, the crop is only coming back because of Government intervention. "Almost everything is being funded by the Government but come marketing season; the bigger size of the crop will be bought by private players. It happened last season. Out of about 30 000 tonnes produced, Government only bought a third." A senior official with AMA said the authority would ensure Government adequately recovers its investment, adding licenses would be issued on the basis of investment made. "We are working with all stakeholders including the Reserve Bank of Zimbabwe to ensure that all loopholes that may promote side marketing are eliminated," said the official. "This year, private players have not invested much most of them have only provided seed. So ideally, Government should buy the bulk of the crop. In any case, these middle men should be removed because their investment model is not production oriented." Some farmers contracted by private players in Gokwe-Nembudziya and Sanyati areas told The Herald Business last week that the support from private payers had been inadequate. Farmer, Mr Moses Muzingiti, 32, said he was contracted by Alliance and received only seed. "I established 4 hectares with the seed I got from Alliance and there was no further help," said Mr Muzingiti, also chairman of 150 farmers contracted by Alliance in Sanyati. Mr Rangarirai Siyai, also from Sanyati and represents 37 farmers contracted by Olam expressed dissatisfaction with the inputs they received from the company. He said he joined Olam's scheme under the impression that Cottco and Olam were merging. "We have been short-changed for a while and we wanted to join the Government input programme. But we were told that Olam was going to merge with the Cottco," he said. Late last year, Olam made a failed bid to acquire an exclusive management contract for Cottco. Mrs Kudzai Muleli, 40, from Gokwe said she was contracted by Grafax and only received little chemicals and seed. "They promised to bring fertilisers but they did not," she said. Many farmers who benefited under the Presidential Input Scheme told a totally different story as they expressed satisfaction with the level of input support. Those interviewed in Sanyati and Gokwe all expressed satisfaction with the level of support. Chairperson for Vere area in Sanyati Mrs Silibaziso Makovere, 30 said she was expecting a good yield after receiving enough inputs from the Government. "I have about 76 farmers under me and I can tell all happy with what Government did for us," she said. "Since I started growing cotton after leaving school in 2005, this is my best year." Cottco area managers for Nembudziya and Sanyati Mr Tichaona Mamutse and Mr Cloud Kanhema said the crop situation was "good" and the mid-season drought would enhance output and quality. Economist Dr Gift Mugano said crop losses were being caused by merchants paying higher prices as they would have not made any meaningful investment in inputs finance or infrastructure. "Government support is only limited to three years and the possibility of the industry 'collapsing' again is very high if there is no proper regulatory enforcement especially during marketing season," he said. A former senior executive with a leading cotton company said there was an urgent need for "immediate and drastic intervention" in the cotton industry to stop the continued hemorrhaging from the scourge of side marketing. "This issue of side marketing has been happening for a long time and this has largely resulted in the decline in cotton production and to a certain extent, pulling out of some serious investors," said the executive. "When merchants invest in production they are taking risk and the return on making that risk is the crop volume they get from the farmer. "But side marketing has been allowed to prevail and the collapse of cotton industry is evidence of that." United States based company, Cargill closed its cotton business in Zimbabwe in 2014 citing high levels of farmer' defaults resulting from side marketing. The company said the practice had resulted in the company failing to operate profitably. The USDA’s Prospective Planting report will give the industry a starting point on acreage for the spring planting season, and cotton is looking to win back farmers in 2017. Early estimates are predicting up to 1 million acres. For Mississippi farmers cotton is king once again. “We’re going to increase this year, about 25 percent over last year,” said Sledge Taylor, a cotton producer. “Last year, we increased about 25 percent over the previous year. We’ve increased almost 50 percent over the past two years.” Cotton acres could surge in not only Mississippi, but across the majority of cotton country. “When we did our survey and looked across the regions, the biggest number of actual acres will be in Texas because they’re working off such a large base,” said Gary Adams, president and CEO of the National Cotton Council (NCC). “Based on the survey, we’re going to see big percentage increases in Kansas and Oklahoma, and pima cotton in California.” NCC’s planting intentions survey showed a 9.4 percent jump in overall cotton acres this year, but a recent USDA projection pointed to a 12 percent increase. “Our survey period was between December 15 and January 15 when prices were around 70 cents a pound,” said Jody Campiche, vice president of economics with the NCC. “Once the USDA report came out, prices were about 75 cents a pound. We definitely expect more acres than shown in our report.” Better prices are also invigorated by an improved export picture this year. “We’re seeing some strong demand for U.S. cotton right now,” said Adams. “The export pace is good. Vietnam is in the market, China’s in the market. We’re not seeing a lot of competition.” It’s more than just price buying acres this year. “Some producers are coming off of a fairly good yield last year,” said Adams. “That’s always gives them a little more optimism that hopefully cotton will bring more total return than some of the other crops.” Adams says if farmers see record yields again this year, that could create a different price picture moving forward. “This price is encouraging planting, so if it’s good enough to plant, then think about pricing a portion of your expected production at these prices as well,” said Adams. Cotton acres dropped since 2008 and infrastructure in some areas in Mississippi suffered. However, Taylor says it will take a couple more years of increased acres to bring cotton gins back on line. An online shopping kiosk is shown inside a Sears department store in La Jolla, California, U.S., Suppliers to Sears Holdings Corp told Reuters they are doubling down on defensive measures, such as reducing shipments and asking for better payment terms, to protect against the risk of nonpayment as the company warned about its finances. The company's disclosure turned the focus to its vendors as tension is expected to mount ahead of the key fourth-quarter selling season amid rising concern about a potential bankruptcy, they said. The storied American retailer, whose roots date back to 1886, said on Tuesday that "substantial doubt exists related to the company's ability to continue as a going concern." Shares of the company closed down 12.3 percent at $7.98 on the Nasdaq. Earlier, the stock recorded its biggest one-day percentage decline since November of 2012. The managing director of a Bangladesh-based textile firm said his company is using only a handful of its production lines to manufacture products for Sears' 2017 holiday sales. Last year, nearly half of the company's lines in its four factories were producing for Sears. "We have to protect ourselves from the risk of nonpayment," said the managing director, who declined to be identified for fear of disrupting his company's relationship with Sears. Mark Cohen, the former chief executive of Sears Canada and director of retail studies at Columbia Business School in New York City, said vendors will keep a close eye on Sears' finances. "Whatever vendors continue to support them are now going to put them on even more of a short string. That means they’ll ship them smaller quantities and demand payment either in advance or immediately upon delivery." He added: "Sears stores are pathetically badly inventoried today and they will become worse." Jason Hollar, Sears' chief financial officer, said in a Wednesday blog post that Sears' move to raise capital in recent months is helping strengthen the company's balance sheet. Sears is "a viable business that can meet its financial and other obligations for the foreseeable future," Hollar said. He cited a $1 billion increase in liquidity from a new secured loan facility and a new asset-based loan that provided $250 million more in "financial flexibility." Still, Sears' cash position has shrunk dramatically in recent years. Sears, which lost $2.22 billion in the year ended Jan. 28, 2017, had $286 million in cash on hand, down from $609 million in 2012. Retailers in distress often use their accounts receivable to finance operations, and Sears had $466 million in receivables, down from $635 million in 2012. Another supplier to Sears, Arnold Kamler, CEO of New Jersey-based bicycle manufacturer and importer Kent International Inc, said he was not surprised by Sears' Tuesday announcement. He said he noticed a warning sign last year when Sears pushed to increase its purchases, which occurred "because a lot of their current suppliers were either cutting them off or limited them on credit." Kamler said he declined to sell Sears more products and that he receives a report once a week from his accounting department because of concerns around billing, payments and deductions. The Bangladesh-based clothing supplier said Sears' announcement is making him re-evaluate accepting new orders. "So far there was only speculation that they would declare bankruptcy in 2017. But now they are acknowledging it, which definitely complicates our relationship with them and our decision to accept future orders from Sears," the executive said. A second clothing supplier from Bangladesh who did not wish to be named said he renegotiated payment terms with Sears a year ago and was being paid within 15 days of sending a shipment, compared with the traditional 60 days. He is considering asking the company for an advance payment on orders going forward. Neil Saunders, managing director at retail research firm GlobalData, said tension will grow as the year goes on. "As we move towards the last quarter, I think we'll find there are more and more suppliers that are not necessarily willing to engage with Sears" and will demand cash up-front. Another sign of Sears' weakness is that insurance companies that once provided policies to Sears’s vendors - insuring against nonpayment for their goods - are no longer doing so. Doug Collins, regional director for risk services at Atradius Trade Credit Insurance, said his firm has stopped providing insurance to Sears vendors. "We tried to hang in as long as we could," he said. "Vendors may try to get a few more cycles in before the worst happens, and then it just depends if they're lucky or not." Contemporary women's retailer Bebe Stores Inc said it is exploring strategic alternatives following four years of losses, sending the shares of the company up about 16 percent in extended trading on Wednesday. Apparel retailers including Gap Inc and Victoria's Secret owner L Brands Inc have been facing lackluster demand as they try to cope with stiff competition from Amazon.com Inc and fast-fashion retailers such as H&M and Zara. The retailers have also been victim to a rapid change in consumer tastes as shoppers increasingly spend on travel and big-ticket home improvement items and less on apparel and accessories. Bebe Stores, which has a market cap of about $29 million, said it has retained B. Riley & Co as its financial adviser. The Brisbane, California-based company had said in 2014 that it was exploring a potential sale as a reduction in store traffic hit demand for its apparel and accessories. The company, known for its formfitting dresses and other apparel, also engaged a real estate adviser to help decide on options related to its lease holdings. Bebe is planning to shut stores and seek a turnaround as an online brand to avoid filing for bankruptcy, Bloomberg had reported on Tuesday, citing people familiar with the situation The company's stock has lost about 89 percent of its value in the last two years.